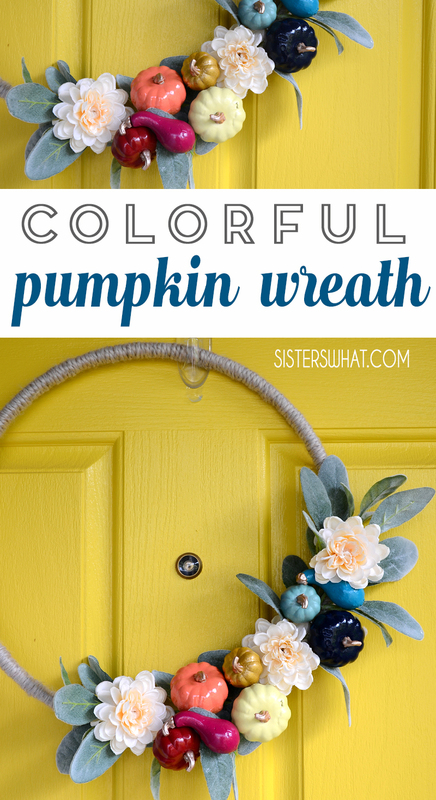 ' Modern Colorful Pumpkin Wreath - Sisters, What! 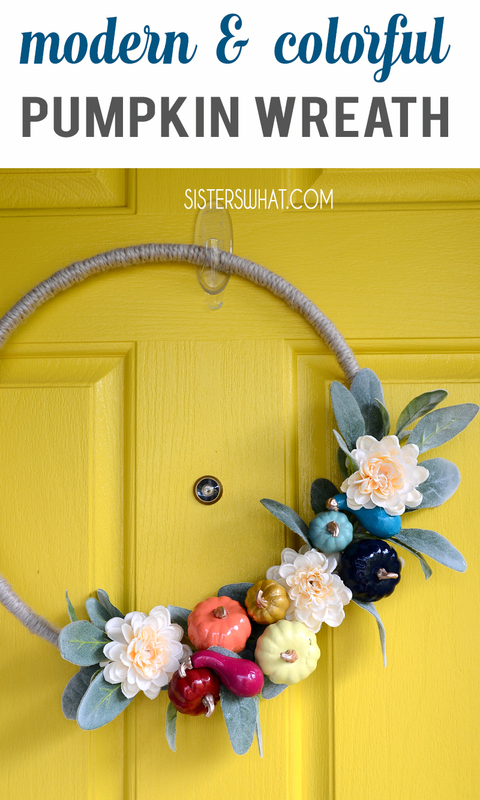 This modern and colorful pumpkin wreath is really easy and quick to make. 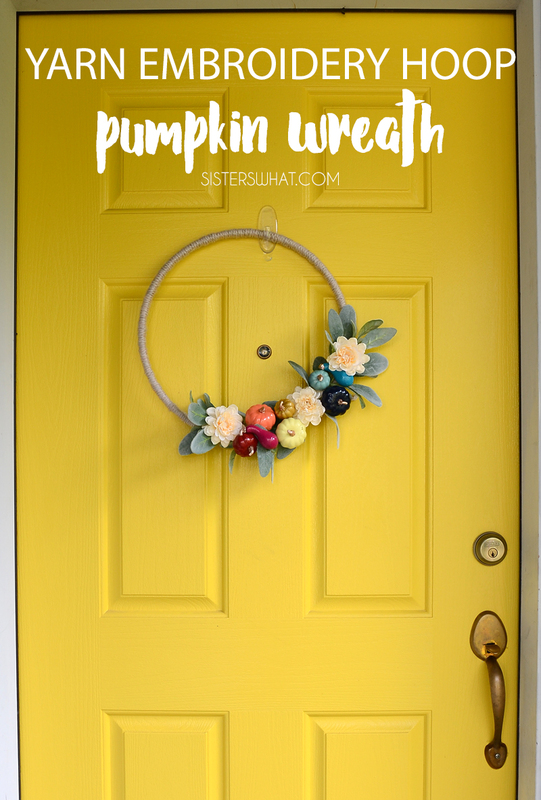 The yarn wrapped embroidery hoop adds a modern and simple element but the petite pumpkins bring in some fun fall colors. This is sponsored post written in partnership with JOANN but all the text, pictures and opinions are mine. 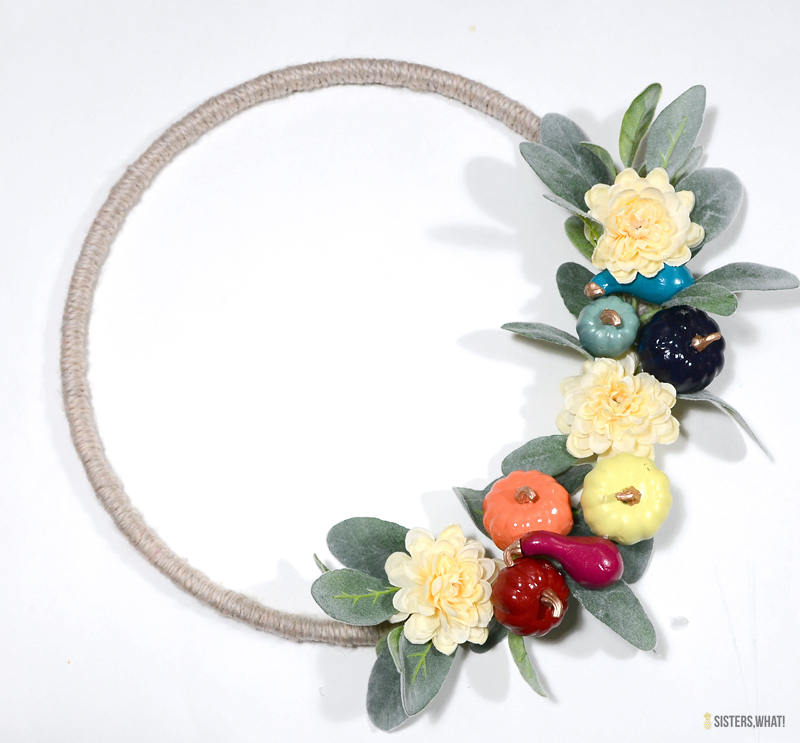 There may be affiliate links, thanks for supporting Sisters, What! 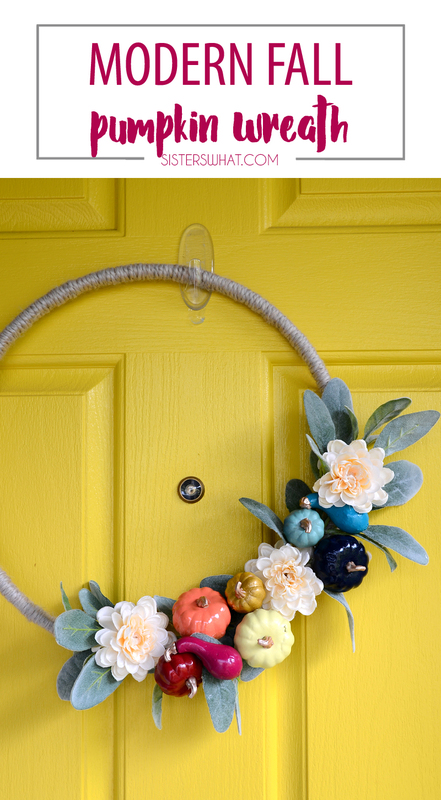 What kind of fall decorator are you? traditional colors or more non-traditional? I love the traditional, but the past couple years I’ve been doing a more non-traditional. 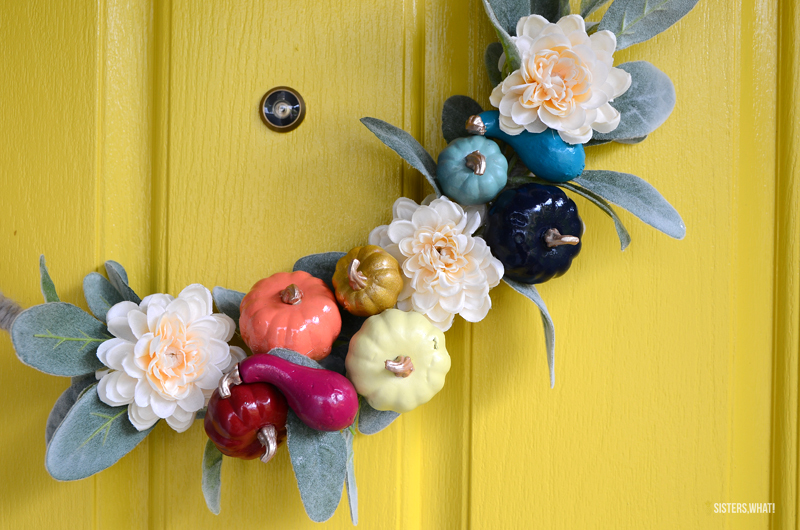 Like scouring all stores for various small shaped pumpkins and then spray painting them all the rainbow colors. 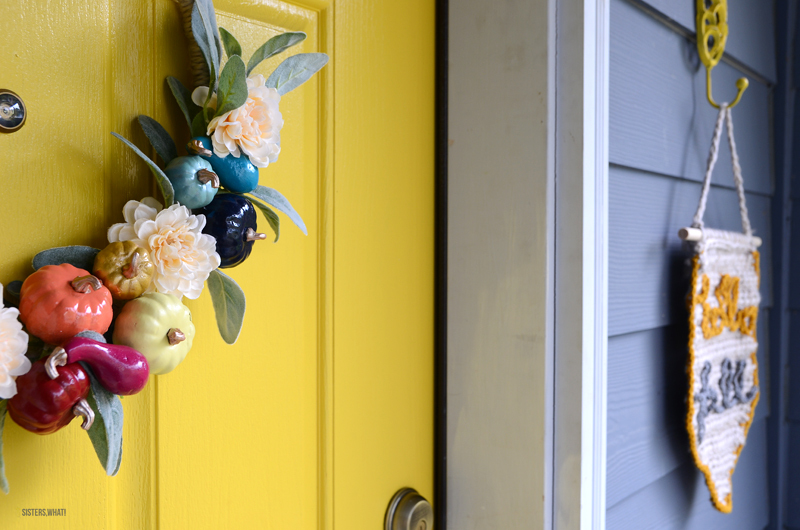 My kids ask me every time I go spray painting them colors other than orange : ). I just can’t help it. I absolutely love the changing of the fall leaves and feel like the burst of vibrate yellows, oranges and red is the last bit of hope before the darkness of winter sets in. 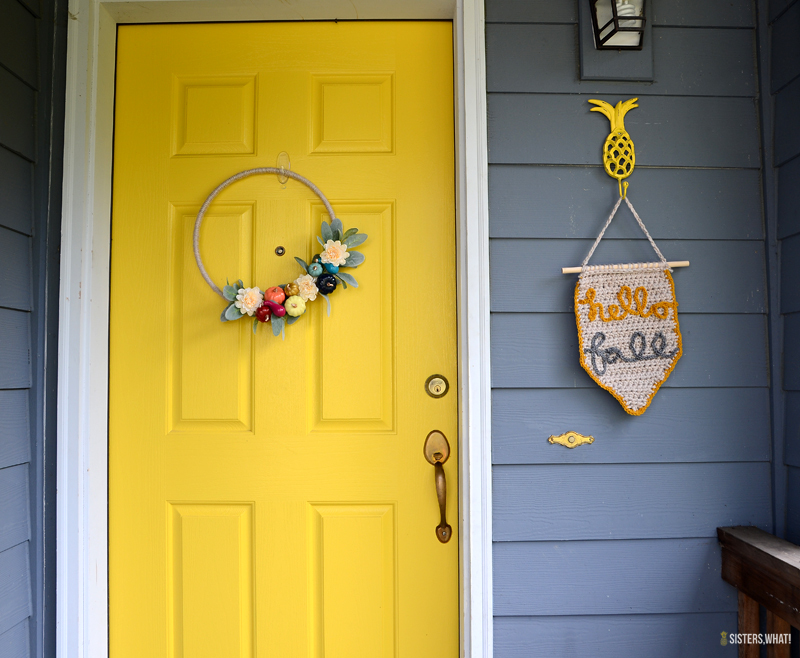 I hung the pumpkin wreath on the door and then my new hello fall crochet banner is hanging on the pineapple. The two go nicely together since I used the same yarn to wrap the wreath as I did for the hello fall banner. 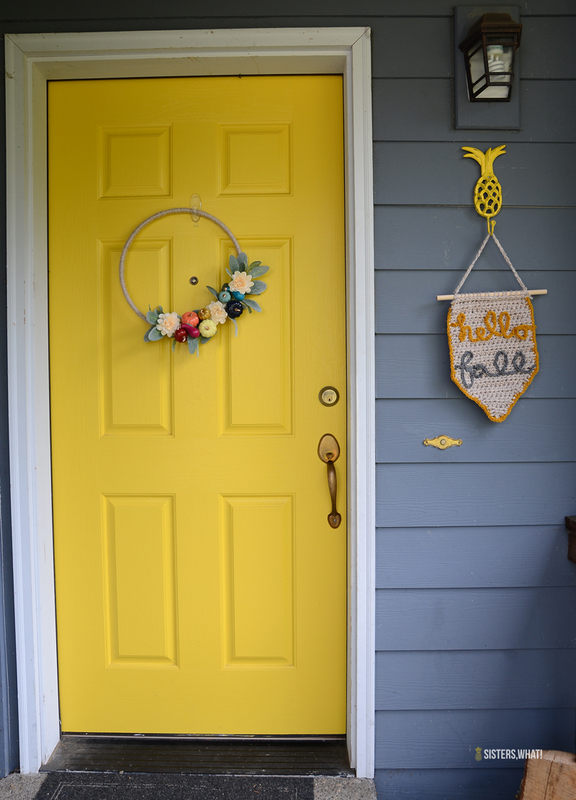 But I must admit, it’s the yellow door that really makes all the pumpkin’s colors really pop. 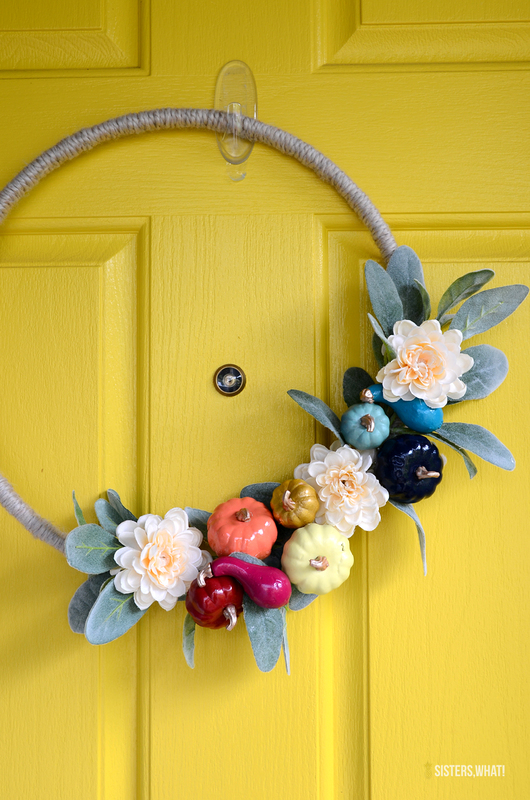 Step 1: Spray paint the pumpkins. Spray the bottom of the pumpkins first and when they are completely dry, turn over and spray the top of them. Once completely dry, hand paint the tops gold. You want to now lay out your leaves, pumpkins and white florals until you get a design how you like it. Now starting with the bottom layers of leaves, hot glue everything on as you previously placed it. And that’s it! SOO easy! 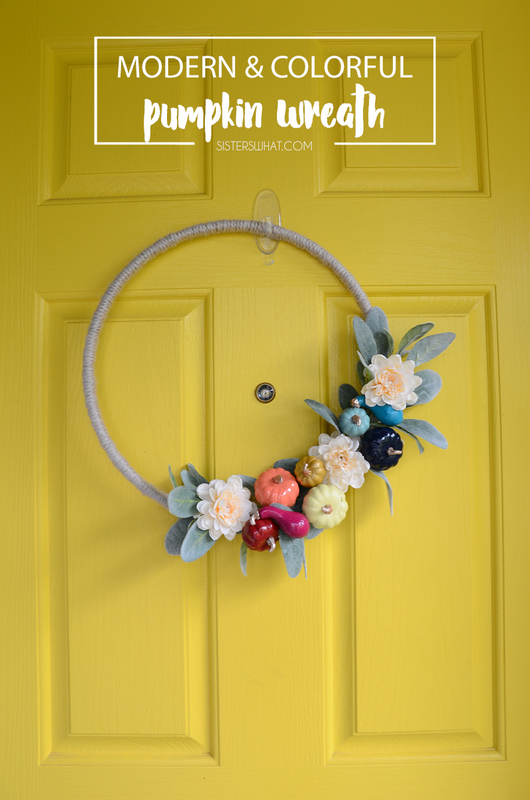 Now that we’re less than 2 months away from Christmas, I’m already plotting a new Christmas wreath of the same caliber. Fun! I love how you have so much color! I’m such a neutral girl, I forget that color in the right places adds some fun.